« *** WINNERS *** Royalegacy, Robin and Shari are Living the Life of Riley! CONGRATULATIONS! I've always tried to treat my bedroom as a sleep sanctuary and have taken great pains to make sure that the lighting (or lack thereof), linens, mattress and pillows are all conducive to a great night's rest. Any time you spend 1/3 of your life doing something, you should enjoy it, right? Sleep is such a recooperative process and denying yourself a good night's rest is only going to cause more problems down the road. The one thing I never understood is why children shouldn't be afforded that same level of luxury when it comes to their bedding and linens. 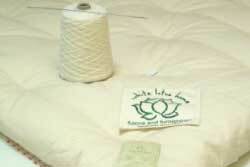 White Lotus Home is an environmentally conscious company specializing in creating handmade natural and organic bedding products for your home. I recently had the chance to review a 100% natural cotton sheet set for Riley's room. Keep reading to learn much more! I reviewed the Twin-Size 100% Natural Cotton Sheet Set in Light Blue from White Lotus Home, which retails for $112.00. 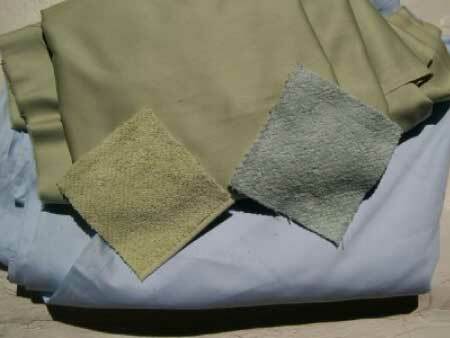 I was thrilled when the 100% Natural Cotton Sheet Set arrived for Riley's bed. As a parent, I always strive to provide the best for my daughter and the White Lotus Home twin sheet set definitely qualifies as a premium bedding product. The light blue color was gorgeous and the sheets themselves felt so soft and luxurious, but more than that, I was elated that Riley would now be surrounded with 100% Natural Cotton while she slept. contain any of these poisons, which is eco-friendly as well as human-friendly. The only thing you'll get from these sheets is a faint cotton oil scent which will fade with time and subsequent washings. I actually loved the cotton oil scent for it reminded me of my childhood in the small town I grew up in where cotton farming was prevalent. 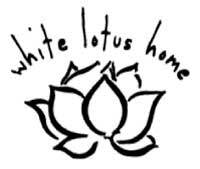 If you'd like to support your own health as well as the health of our planet, then I would recommend any of the numerous eco-friendly and sustainable bedding products from White Lotus Home. Their socially responsible items are handcrafted right here in the United States and support local growers and farms. Feel the difference and start "saving the world while you sleep"! Disclosure: I received the Twin-Size 100% Natural Cotton Sheet Set in Light Blue from White Lotus Home in order to facilitate my review. No other compensation was received. This product review is based on my own personal experiences with this item and is completely honest and objective.